In the latest sign that the Earth is still spinning, Clayton Kershaw and the Los Angeles Dodgers have determined they belong together. Wednesday was the original deadline for Kershaw to exercise the opt-out in his seven-year, $215 million contract. The ace left-hander and the Dodgers agreed to push the deadline to 4 p.m. ET on Friday, and they reached a new deal just in time. Kershaw was already owed $65 million under his existing pact, so this is effectively a one-year, $28 million extension. Could the 30-year-old have done better if he'd entered the open market for the first time in his 11-year career? Almost certainly. Though he does have some red flags hanging over him these days—more on those shortly—this is still Clayton Kershaw we're talking about. He owns three National League Cy Young Awards, an MVP and five ERA titles. Even in a "down" 2018 season, he mustered a 2.73 ERA over 161.1 innings. Altogether, his career 159 ERA+ is the best ever for a pitcher with over 2,000 innings. Perhaps Kershaw wouldn't have been in line for a $200 million payday a la Max Scherzer, David Price and Zack Greinke. But he would have been in for something between $100 million and $150 million. However, this is no time to frown on Kershaw's decision. Strictly from a narrative perspective, if Kershaw opted out and bolted for allegedly greener pastures, it would have felt like LeBron James leaving the Cleveland Cavaliers for the Miami Heat or Kevin Durant leaving the Oklahoma City Thunder for the Golden State Warriors. Defensible, for sure. Arguably the right choice, even. And yet...wrong. Kershaw has been in the Dodgers organization since L.A. drafted him seventh overall in 2006. He's turned into the Sandy Koufax of his era and, through his professionalism and warm personality, a fan favorite in the 12 years since then. "Clayton exemplifies what it is to be a Dodger," manager Dave Roberts told reporters. The Dodgers have certainly reaped benefits from Kershaw's excellence. They've gone to the playoffs eight times during his tenure. In these, they've gone as far as the National League Championship Series six times and the World Series twice. The one thing missing, of course, is the big one: the team's first title since 1988. The Dodgers haven't continually fallen short because of Kershaw specifically. But he has been part of the problem. Despite the bright spots in his track record, his career postseason ERA (4.32) is nearly two runs higher than his career regular-season ERA (2.39). So it was the last time Kershaw took the mound in Game 5 of the World Series against the Boston Red Sox. He served up four runs on three home runs in seven innings, and the Dodgers lost 5-1. If the southpaw had chosen to leave L.A. this winter, the legacy left behind would have been at once historic and sadly incomplete. He would have been one of the all-time great Dodgers but not quite the greatest. But now Kershaw has at least three more chances to wrap up unfinished business. And it so happens to be at a time when he and the Dodgers truly need each other. Had Kershaw chosen to test the free-agent waters, the Dodgers would have been left with a rotation of Walker Buehler, Rich Hill and some combination of Alex Wood, Julio Urias, Ross Stripling and/or Kenta Maeda. Not bad, but far from great. For Kershaw's part, it's no secret that he's not the unstoppable force he used to be. He's lost time to back and shoulder injuries in four of the last five seasons. The last three have been especially rough, as he's averaged 25 starts and 162 innings per year. Kershaw's fastball velocity also seems to have fallen prey to all the wear and tear. It's been on a steady downward trend since 2015. It hit bottom with an average of 90.8 mph in 2018. If Justin Verlander can do it, then there's a chance Kershaw will get his health in order and eventually welcome back his vintage velocity. But since that's not terribly likely, it's a good thing the Dodgers can offer all the advantages he needs. Dodger Stadium is a notorious pitcher's park. The team will be returning many pieces from a defense that was tied for sixth in efficiency. And even if Yasmani Grandal (who's received a qualifying offer) doesn't return, Austin Barnes is an outstanding pitch-framer in his own right. Perhaps the biggest question Kershaw had to ask himself is whether the Dodgers' championship window has already closed. While there is an argument there, his return is just another reason to believe it remains open. The team's rotation looks that much better with him in it. Kenley Jansen still anchors a strong bullpen. 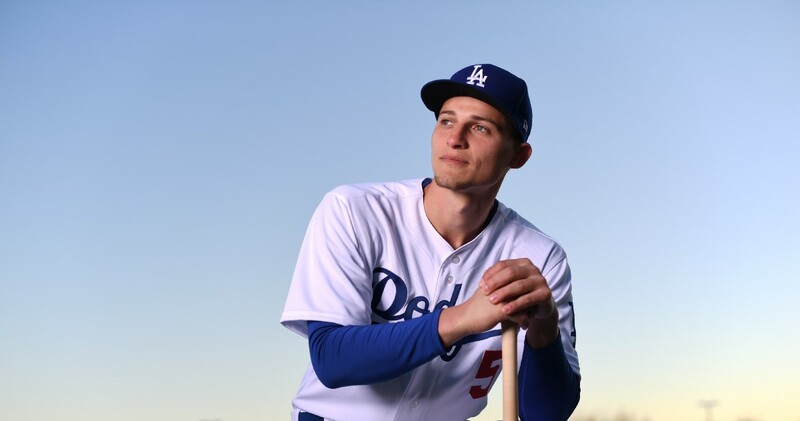 Manny Machado is leaving behind an offense that caught fire in the second half of 2018, but a healthy Corey Seager will step into his shoes next year. And now that their luxury-tax penalties are reset, additional help from outside the organization should be on the way. Regardless of the price, there was never really anywhere else for Kershaw to go this winter. In theory, he and the Dodgers were always bound to each other. Now that it's official, they know what to do next.